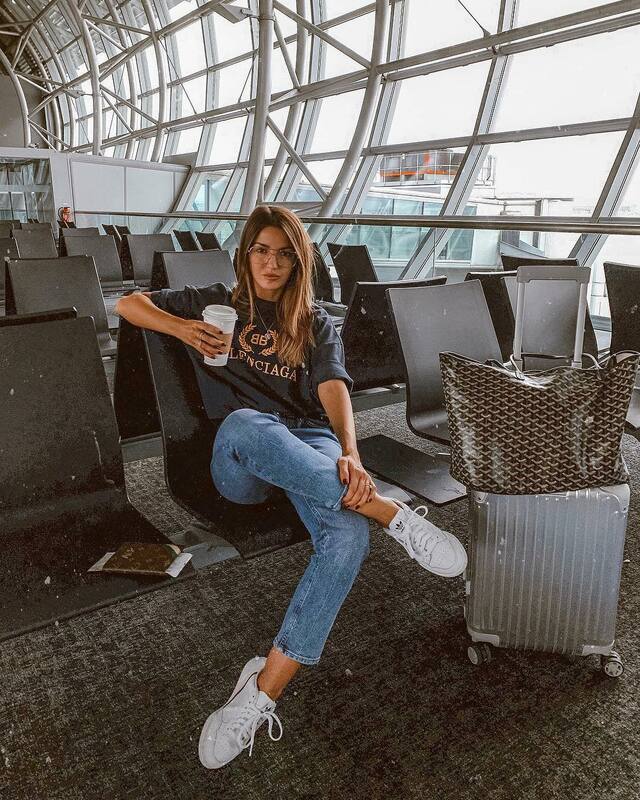 Have a look at this Summer airport outfit idea for young ladies. We see a casual T-shirt tucked in regular fit jeans in wash blue completed with a pair of white sneakers. An ideal look for Summer vacation.